Photo courtesy Broken Bow Records and used with permission. 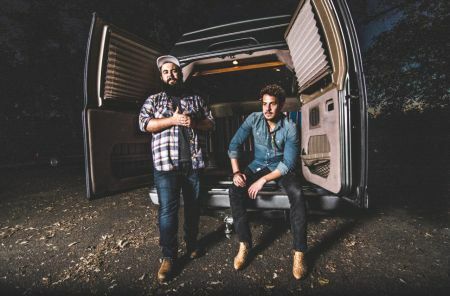 After individually cutting their teeth in the clubs and honing their musical chemistry, singer-songwriters Brent Rupard and Anthony Olympia decided to join forces and become Everette; an explosive new duo who’s organic, back-porch style approach to songwriting is as infectious as their own personalities. One listen to Everette’s debut EP, Slow Roll, reveals the duo's deep, blues-inspired escapism of grit and groove. Fueled with tastefully woven tales of struggle and heartbreak as well as stories about having fun and letting go. The debut single and video, “Slow Roll,” showcases Everette's knack for combining friendly dance beats with an unforgettable chorus. Other stand out tracks on the new EP, like the anthemic “Mugshots,” reveal an intoxicating vibe and groove that’s sure to become a soundtrack of summer. AXS recently spoke with Rupard and Olympia about Everette, Slow Roll and more in this exclusive new interview. AXS: How did this partnership come about? Brent Rupard: Anthony and I met back in our hometown of Bullitt County, Kentucky. We were both playing music in other bands at the time but quickly hit it off as friends and music collaborators when we started writing songs together. AXS: Why the name, “Everette”? BR: It actually has more to do with the film, “O Brother, Where Art Thou?” We'd been struggling to come up with a band name. Nothing seemed to fit. Then one day, we took a break from a session and stumbled on that movie. The whole vibe of how they went on to become the Soggy Bottom Boys was our soul and journey. It’s been a crazy ride to be where we are now. AXS: How would you describe your style of music? Anthony Olympia: Brent often says that we’re back-porch rock and roll. It's bonfire night; where everyone has a guitar, spoons, a tambourine, or a glass of bourbon and is sitting around jamming. It’s a communal spirit, but we also have the rock and roll element where things might get a little crazy at times. BR: It can come from a lot of different things. Sometimes it starts out with just a lyric idea, but most of the time we’ll start jamming to get the vibe and see what the day has to offer. AXS: Let’s discuss a few tracks from your new EP. What can you tell me about “Slow Roll”? BR: I had the guitar riff and that was the thing that kind of steered the ship. We wanted to create a song about leaving your troubles and worries behind. Just taking yourself on a road trip and doing things at your own pace. These days, people are so busy keeping up with the social media Joneses. We just wanted to write a song about taking it easy. Click here to watch the video for "Slow Roll". AXS: How about the track, “Mugshots”? AO: That song was written by our buddy, Bryan Simpson, and Ryan Tyndell. They're both fantastic writers. I still remember when Brent played the demo for the first time when we were driving through Idaho. I saw all of these beautiful orange and brown colors and knew instantly it was our song. Once we got into the studio, we took the magic parts of the demo and inserted ourselves into it. We put our heads down and woke up with a song that sounds like Everette. AXS: What was the inspiration behind the song, “Relapse”? BR: For that one, we wanted to capture a moment I think everyone has had: one where you’re in a toxic relationship and can’t seem to get out of it. Anthony and I started reminiscing about all of our past mess-up relationships. We had a few drinks, started jamming and that song just came about. AO: We’ve written a lot of songs together before we became Everette, but that was the first song we wrote where we realized we had something magical together. It was something uniquely different. 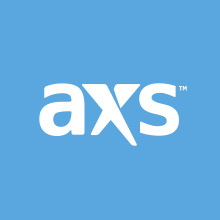 AXS: What are your plans for live dates? BR: We have a few shows left this year and are making time to finish off the next record. We have a lot of radio coming up and are also working on a new tour next year as well. It’s very exciting. AXS: Did you always know that music would be your calling? AO: When I was very young, my mom asked me what I wanted to be when I grew up. I told her I wanted to be a cowboy. What I realized was that being a cowboy means being a musical traveler; taking long trips, staying up late and meeting a lot of people. I never knew it would be so exhilarating and exhausting at the same time, but I love every minute of it. BR: I’ve always wanted to be on stage. As a kid, I vividly remember being completely terrified about being on stage and at the same time, being completely obsessed with the adrenaline rush. AXS: What excites you the most about this next phase of your career? AO: It’s crazy to have a song on the radio. So, the plan now is to start thinking about what comes next. We’re excited to get more music out there and showing everyone more of our crazy side. BR: I’m excited about putting together a great show and getting the songs out to people. We’ve spent so much time in the studio and working with management and the label. But it’s all about the music. We’re looking forward to putting a great show together and getting face time with fans.